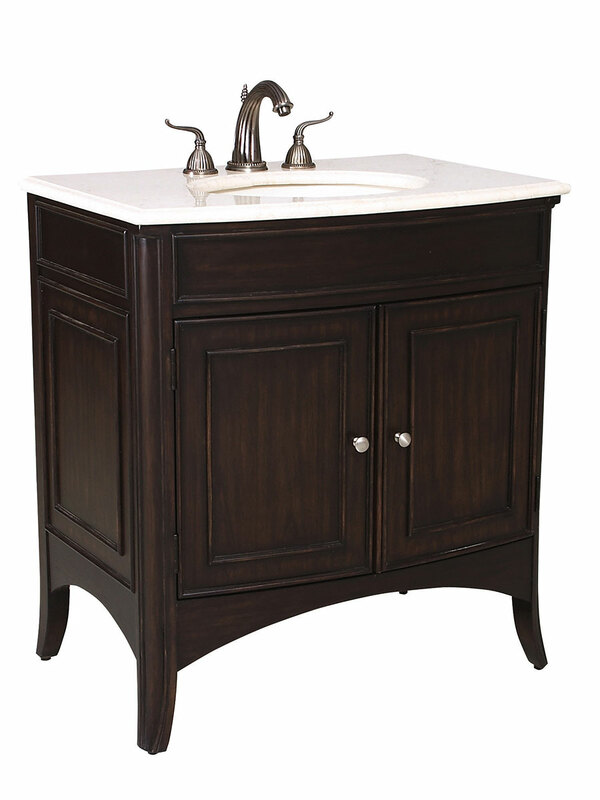 The 33" Verona Medium Single Bathroom Vanity is a sophisticated choice for your bathroom. Its solid wood cabinet has a black rub off finish, which maintains its classic dark color while providing brown tones for a beautiful overall look. The ivory cream marble top and backsplash provides a charming contrast. 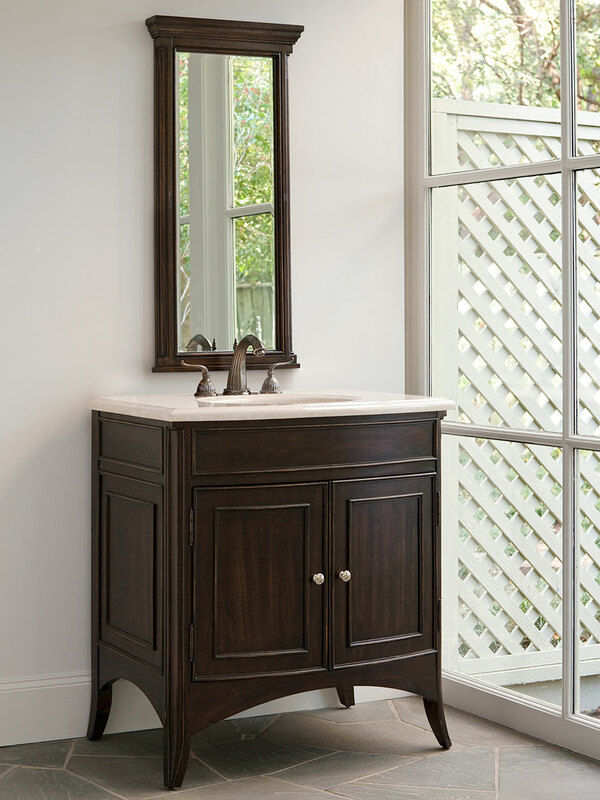 Its grace and simple style are easy to plan a bathroom design around. Faucets are sold separately from the drop-down menu. A Balsa porcelain sink is installed to the top.